Following the facelift or the neck lift procedure, patients return to Dr. Portuese's office at the Seattle Facelift Medical Center approximately two days after the surgery to have the drains removed. Examination of the face is performed and the incisions are cleaned by Dr. Portuese. He will make sure that all tissues on the face and neck are healing quite well and the drains are removed. Drains have been sutured in place and the sutures are removed and the drain is slipped out. Approximately two to three days later the stitches are removed. Some of the sutures are dissolvable and they are left in place to dissolve. Patients return in approximately two weeks from this appointment to monitor their postoperative course and answer all questions. Patients are able to put makeup on after the sutures are removed at approximately one week, but it does take approximately several months for the full healing process to take effect. Dr. Portuese asks that patients be very patient with regard to the healing of their new face and neck. 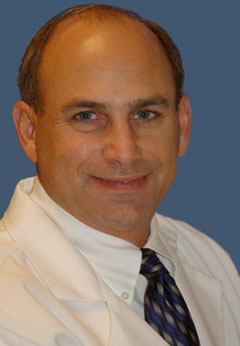 Dr. Portuese and his office staff have performed thousands of successful facelift, neck lift, and mini lift surgeries. The goal of the Seattle Facelift Center is to fully educate patients and prepare them for what is often a lifetime dream of changing their face to match how they feel. Facelift and neck lift surgery is one of the most gratifying surgeries for Dr. Portuese and his patients and staff. We look forward to taking good care of our patients through this process.